A PR and a BQ! Today was SUCH a fabulous race. I got a 7 1/2 minute PR and a BQ that really felt like a BQ. 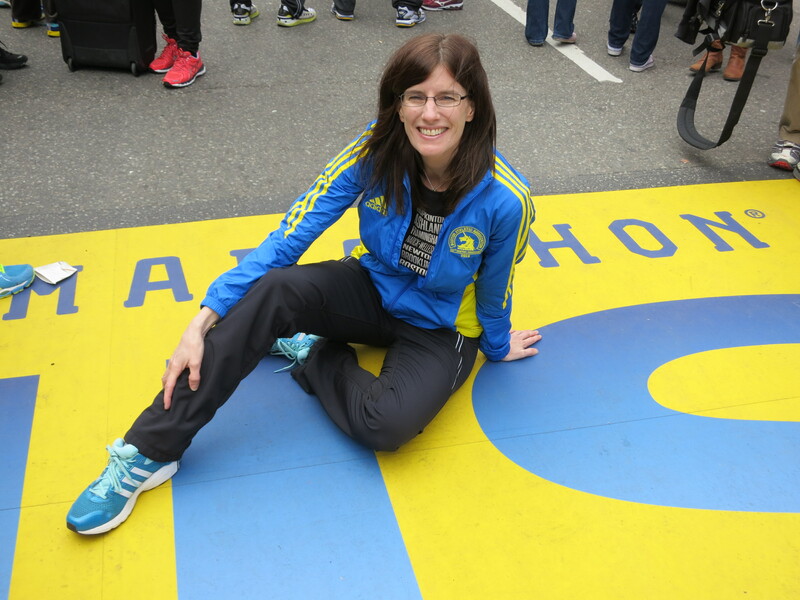 THIS was how I imagined the race that I wanted to get me into Boston! 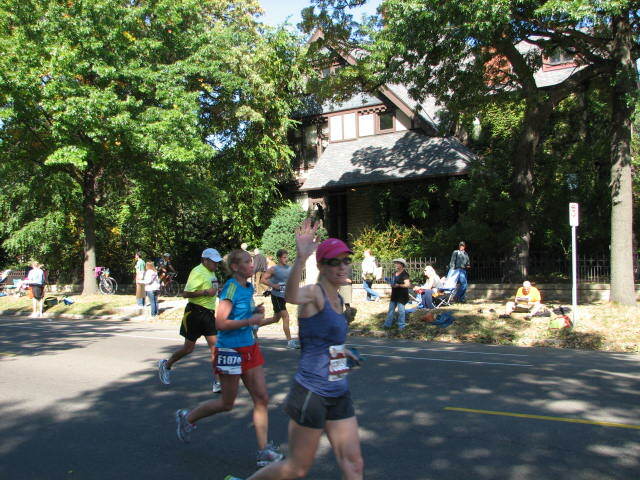 Still able to wave and smile just past mile 25 when I passed my parents, sister and niece, uncle and Meg & her friend Jane! Although I had faster ambitions (I really thought between 3:35 – 3:37 was possible), the heat was a definite factor and slowed me down during the second half. I think it was low 70’s when I finished (and sunny all day). I have no complaints though! I had a BLAST during the first half, worked on my mental toughness during the second half, and finished without feeling any sort of injury and honestly, not too sore at all. AHHHH! I was tracking you all morning! I am so happy for you — you got your race of a lifetime! Your AG placing is incredible! Eat and drink all you want! You deserve it! Congrats again! So glad you had the race you wanted. Looking forward to the full report. Recover well and enjoy your post-race excitement. SOOOO FREAKIN AWESOME!!!! Beyond happy for you!! !